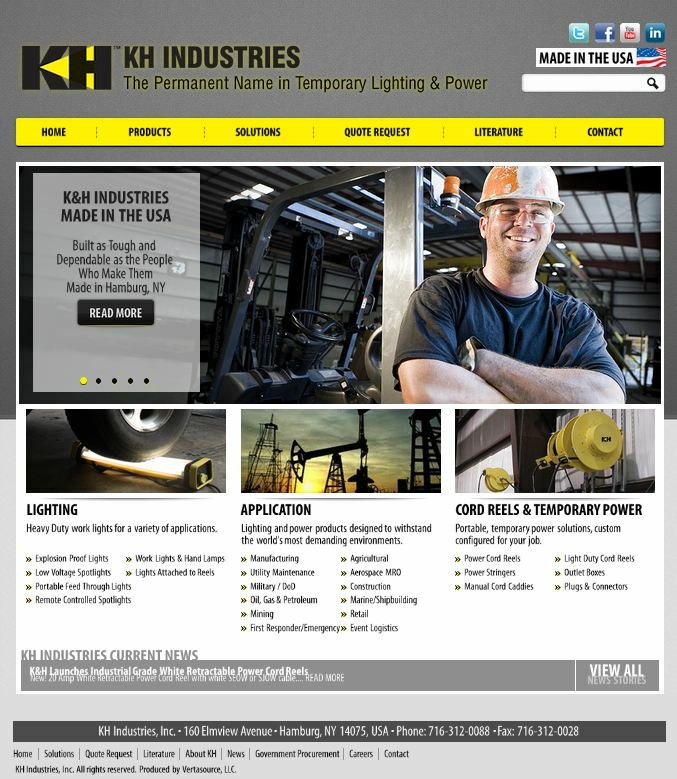 KH Industries new website features a fresh new design, easy to use navigation, and the addition of links to KH’s Twitter, YouTube, Facebook, and Linked In corporate pages. BUFFALO, N.Y. - July 18, 2013 - PRLog -- KH Industries is pleased to announce the launch of its new website, with a fresh new design, easy to use navigation, and the addition of links to KH’s Twitter, YouTube, Facebook, and Linked In corporate pages. Products can be searched by attributes, making it easy to quickly navigate to items that match the specifications for a job/project. A side-to-side product comparison is available in PDF format, streamlining the review and specifying process. In addition, product details can be emailed, or saved to favorites for a quick recall of commonly ordered items. The Literature section of K&H’s new site allows users to quickly navigate by product to all associated documents, including drawings, manuals and parts lists. With the addition of a new website, K&H Industries expanded its online offering of retractable power cord reels, power stringers and portable outlet boxes/bus drops. Check it out for yourself at www.khindustries.com and tell us what you think on our Facebook page.